In 2006, eager to start a service which will help everyone to connect with Bhagawan's teachings on a daily basis, Radio Sai began 'Sai Inspires'. All who subscribed to this service, received an email from us which had a concise message of Baba accompanied with His image. This daily offering was received well, and soon the subscriptions grew. Today nearly 100,000 people from all corners of the world wait for this message to help them tide over their day with peace and ease. The power inherent in these discourse capsules is indeed tremendous. How much we benefit from it and how best we harness this energy depends purely on how seriously we ruminate over these words and how sincerely we put our learning into action. To help us in this noble and elevating exercise, Prof. G. Venkataraman has taken time out to elaborate on these messages. His reflections will not only give us a deeper understanding into what the Lord is communicating to us but also give us tips to translate them into our daily practical life with more ease. The best way to value the Master is to master His values. As we prepare to celebrate Guru Poornima (July 19), when we pay our respects and obeisance to the Divine Master, let us work to offer Him the tribute that the Lord loves the most from us - to make our lives His message, to make His love and wisdom shine in us. To aid us in this endeavour we have this series where Prof. Venkataraman for the next 26 days from June 9, 2016 shares his insights on select Sai Inspires messages. We hope this will help us to understand His teachings better and bolster our determination to walk on the sacred path. 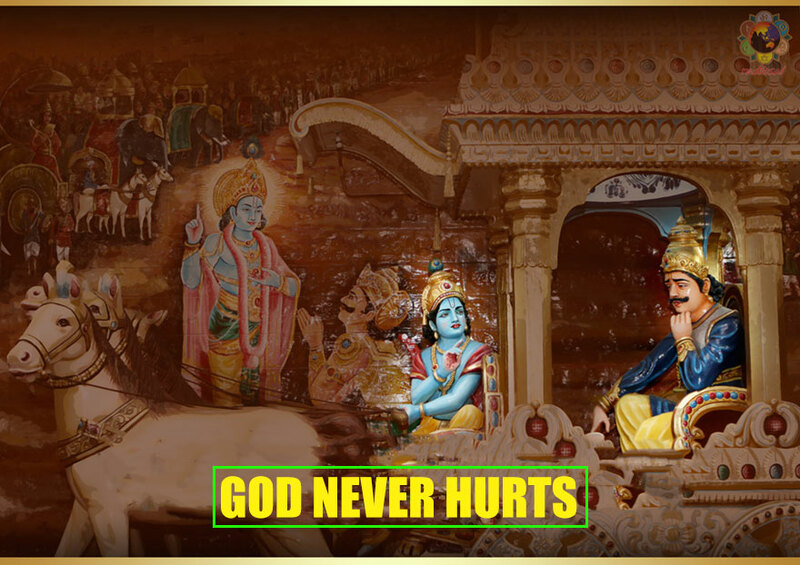 GOD NEVER HURTS; HE IS LIKE THE SANDALWOOD TREE! The sandalwood tree without any feeling of bitterness, imparts its fragrance even to the axe that fells it. Divinity responds in the same manner. Some persons, blinded by their ignorance, arrogance and folly, may say all sorts of things about God. They may even imagine thereby that they have assailed God. But God remains totally unaffected. Even to such bad and evil-minded persons, He offers His blessings and benediction. - Divine Discourse, June 18, 1989. Sai Ram. The quote that you heard is a beautiful one that reminds us of an important truth, one whose subtleties we seldom bother to understand as well as appreciate. 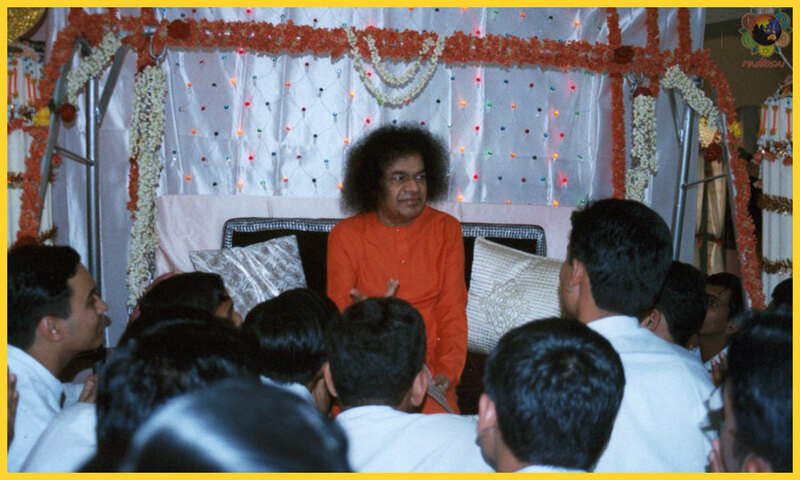 Over the years, I have heard thousands of people tell me over and over again, “You know, Swami is Pure Love.” And yet, do you know how many of these people also told me that they have got angry with Swami, quarrelled with Him [mentally of course], and so forth? You might legitimately wonder: ‘Quarrel with Swami? Get angry with Him? What for?’ And the answer is, “For the usual things, such as not granting this prayer or that!” It is in that context that the above quote becomes crucially important; so, let us try to spend some time understanding it, as carefully as we can. It all starts with the word LOVE and the different ways in which humans understand it, as opposed to what God means by that very same word. For us, love means affection, deep attachment, etc., and all that goes with these characteristics. What we fail to appreciate is that this is merely a WORLDLY interpretation of the word LOVE, and since our perception of the world is almost 100% dual, the consequences of what we call ‘love’ would also have to be a mixture of what is pleasant and unpleasant. We all have heard the phrase ‘lover’s quarrel’, haven’t we? Where would all the pulp writers who churn out romantic novels like a factory be, if there was no such quarrel? The point is that love which implies attachment, affection, etc., is a strictly person to person feeling, and hence, depending on the mood of the parties involved, the feelings can easily swing from one direction to the other. When the two parties provide each other satisfaction in the ways they expect, then there is amity, friendliness, etc. But if one or the other party disappoints, there are sparks. This happens between father and son, mother and daughter, husband and wife, between brothers, friends and what not. Inevitably, the devotee carries over such an attitude when dealing with God also. As Swami says, the devotee might declare that he loves God, but truly speaking, he loves God because God grants him all that he wants. But suppose God takes a break, the devotee becomes disappointed, and tries to attract attention with more pujas, temple going, offerings of various kinds, and so on. And if God continues to remain ‘aloof,’ then the devotee’s love for God often turns into disappointment, and he even begins to say unpleasant things. No surprise then that this happens when God comes down as Avatar. Swami has described any number of times how, Arjuna, after having been taught the Gita and given a glimpse of God in His Supreme Aspect, soon forgot that Krishna was God almighty and began to slight, and even show disrespect. All this, says Swami, happens because humans relate to God from a worldly perspective, where love is a relationship between one particular being and another. Nothing, but then, you must also be prepared for the consequences. Can you plant a neem seed and expect the tree that grows to yield mango fruits? If your Love transcends bodily relationship and is rooted in your true nature as the Atma, then things would be different. When you show Pure Love to a human, he may not quite respond with Pure Love, but with God it would be different. God being the Embodiment of Pure Love, would always respond with Love and nothing else. The sandalwood tree without any feeling of bitterness, imparts its fragrance even to the axe that fells it. Divinity responds in the same manner. God remains totally unaffected. Even to such bad and evil-minded persons, He offers His blessings and benediction. There is a saint, who one day while having his bath in a river, sees a scorpion that had fallen into the river and was drowning. Instinctively, the saint picks up the scorpion and drops it on the river bank where it would be safe. Unfortunately, even as he is doing so, the scorpion stings him. Unmindful of the pain and the injury, the saint resumes his bath. But strangely, the scorpion slips back into the river; once more the sadhu saves it but only to be stung again. Amazingly, the story repeats a third time, at which point a man sitting some distance away on the river bank watching all this drama could not take it anymore. That story may not cut much ice with the hard-boiled eggs of today, and so let me at this point remind you of a couple of incidents that happen in the Mahabharatha. When the Pandavas return from exile and the Kauravas refuse to hand back their kingdom, the clouds of war begin to gather. In a bid to prevent war, Krishna goes to the Court of the Kauravas to plead for some kind of an amicable settlement. Not only do the Kauravas refuse to budge, but, contrary to accepted procedures, they try to apprehend Krishna who has come as an unarmed emissary. It is a different matter that Krishna skilfully turns the tables using His Divine powers. That is the first incident, and cut now to a day a few weeks later, when preparations for war are briskly going on, and both Duryodhana and Arjuna go to Krishna to seek support from Him. You all know that story and I shall not go into that. My point in bringing it up is mainly to draw attention to the fact that Duryodhana who, just a few weeks earlier had not only insulted Krishna when He came as an emissary but also ordered His arrest, that very same Duryodhana was now before Krishna trying to persuade Him to loan His army! As everyone knows, Krishna received with a smile, and even gave Duryodhana precisely what he wanted, the army. In the words of Swami, Krishna offered to Duryodhana also His blessings and benediction. Wrapping up, let me make the following observations. •	We all love God, think of Him, worship Him, and make many offerings too. God is well aware of this and, in the material and worldly plane, always returns love at the same level as we give Him. The Puranas testify to this, for did not the Gods grant even demons their various wishes? •	That said, God plays another role as the Supreme Witness. At that level, He never does any harm to anyone, although people always blame God for the difficulties they experience. On the contrary, God always extends a helping hand. •	We see in the life of Swami. In his early days, a person tried to poison Him. Of course, nothing happened to Swami and the other person suffered. Who finally gave relief to the suffering person? It was Swami. That is where the cutting of the sandalwood tree and the fragrance attaching to the axe become meaningful. •	God is above human qualities, and dwells in the realm of Advaitam where there is nothing but sheer ONENESS. That is something we cannot understand, but great sages of yore experienced it and they say, in that universe, there is nothing but Bliss and Pure Love. Hence God is INCAPABLE of causing harm. Those are things that only humans do, of course out of spiritual ignorance or ajnana. •	In short, while God does come in human form for our sake, it is wrong of us to paint His nature in a human texture. If, on the other hand, we try to rise to His level, and that really is what He wants us to do, then we too would now know what anger, hatred, jealousy, etc., are. Freed from negativity, we would then experience only Bliss, and try to help everyone else we know to have that same experience. I have an idea. Why don’t we all try to do that just for one waking hour every single day? I mean live with the attitude of a sandalwood tree, not wanting ever to see evil in others even if there is, doing always good, and doing so as return even for evil? At least why not think about it? Later, why don’t we give it a try? Still later, why don’t we try and persuade others also to do the same? Just imagine if the six and half billion people on earth were able to act like sandalwood tree for just one hour a day everyday, and are normal rest of the time [i.e., without being particularly obnoxious], then how much better the world would be? This is the last episode of this series in the Guru Poornima 2016 season. We will resume this later with a fresh batch of reflections in the near future. Thank you for your interest and encouraging feedback.